The classic Brooklyn square tubed black nickel heated towel rail is ideal for give your home the latest look in elegant contemporary design. 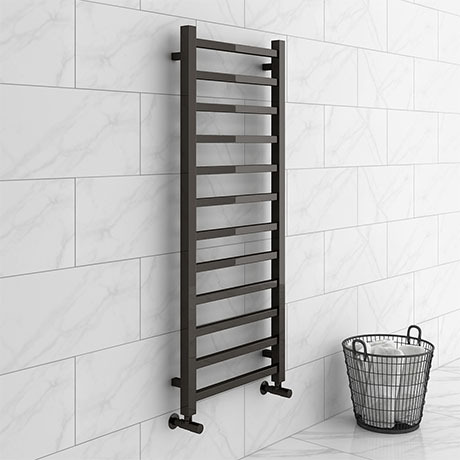 With a straight profile and finished in a highly polished black nickel this luxury stylish ladder type towel rail brings a real quality finish to any bathroom. Perfect for keeping your towels toasty and warm as well as creating a focal point in your bathroom.